Out drawing yesterday morning. It was hard work standing up, even harder drawing. 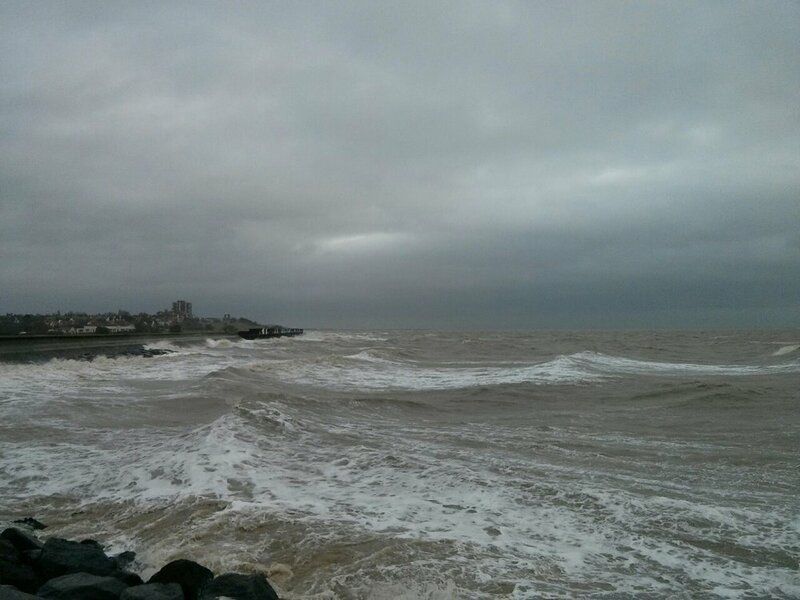 The sea had a long swell on it and was breaking over the seawall in big showers and there was a fierce wind. 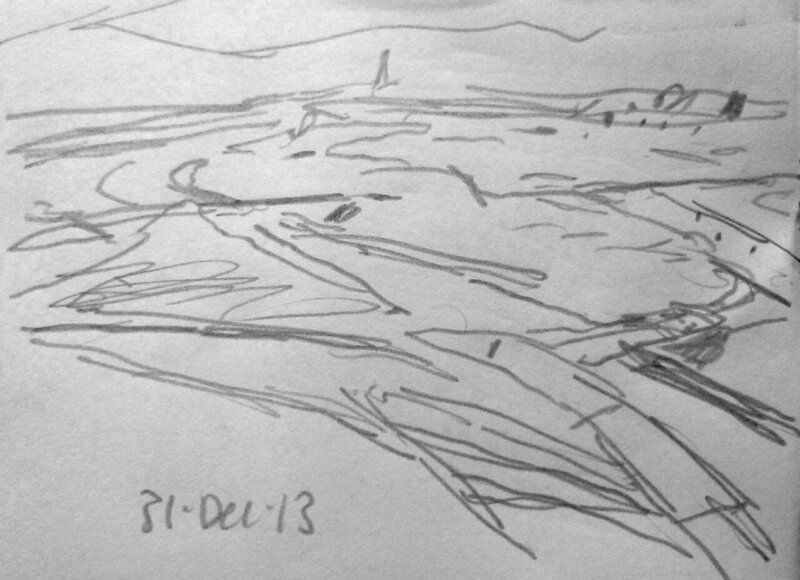 The drawing is from the same spot as yesterday’s studio painting. I made a start on the big canvas in the afternoon.